I list only a small portion of a history I have found and an abbreviated meaning of the cards with some of the associations to other disciplines. There is so much more that I cannot include because of limited space This is for you to discover! HISTORY - Tarot has been around hundreds of years. Tarot Readings are believed to have originated in Egypt centuries ago. Although, some scholars state that they were invented by the Chinese, others say that the Gypsies brought them back from India. Other information said tarot has an ancient history with the Hebrews and the Kabala. Some information stated that they were originally used only by members of the church and thought to be a way to communicate with God. Other information states that the church disliked associations with the Tarot and caused great difficulty to those who continued to use them or use them in any connection to the church. Most scholars give a date of 1400's or 1500's as the earliest dates with Tarot in Europe, but my research found that there was a deck of Tarot dated 1390 AD stated to be located in an museum in Europe (Bibliotheque Nationale). 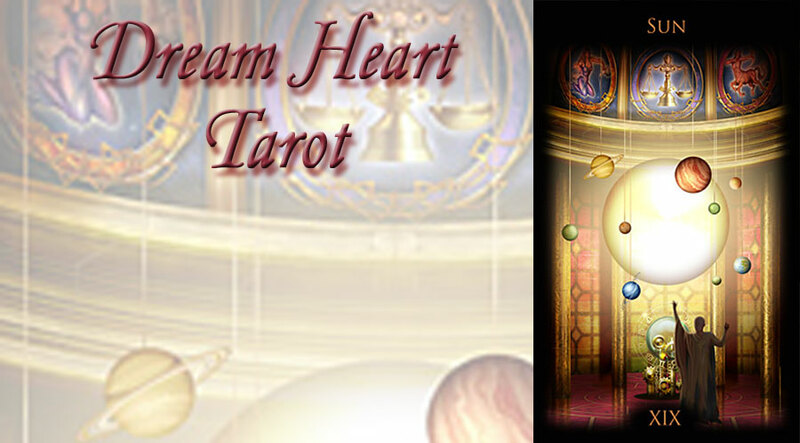 Through history, though, TAROT has been used as a way to divine the future and give insight into life. The 56 MINOR ARCANA-are divided into 4 Suits -Wands, Swords, Cups & Pentacles. Minor Arcana are made up of 16 Court Cards & the others are the aces through 10 in each suit. The minor Arcana are not as important as the majors, but they are still vital because they deal with our everyday life. The Court cards are People who have an impact on us and who we have an impact on. These cards are Kings, Queens, Knights and Pages. There are 4 per suit making a total of 16 per deck. These cards represent - Family, friends, co-workers, neighbors, attorneys, supervisors at work, people at the gym &YMCA etc. Ace - 10. Give picture account of daily happenings. 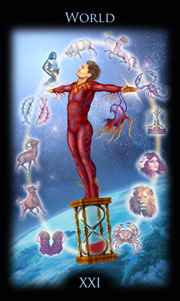 The Zodiac signs often give attributes associated with the court cards and the suits. People may behave in a certain manner, situations etc. MAJOR ARCANA - 22 cards -SPIRITUAL TRUMP Readers may pay special attention when the Major Cards appear. The Sun, Moon and Lovers are examples of Major Trump. Psychological, psychic, philosophical, spiritual meanings - Show spiritual significance of lessons of life, major themes of a persons life - when they appear in a reading the reader will pay special attention to their position and meaning. When there are 8 or more Major Arcana cards in a reading, it is as if the Universe has Strong Powerful energies in the situation - showing things that may seem to be beyond control of the person asking for the reading. Death Card - James Bond Movie-Voodoo-seeming to mean James' Death Really Means end of one situation, beginning of different or new way of life. Hanged Man - Does not mean you will be hanged. This is more a meaning surrendering or sacrificing something, (But you must feel it thoroughly - don't try to ignore the sorrow).